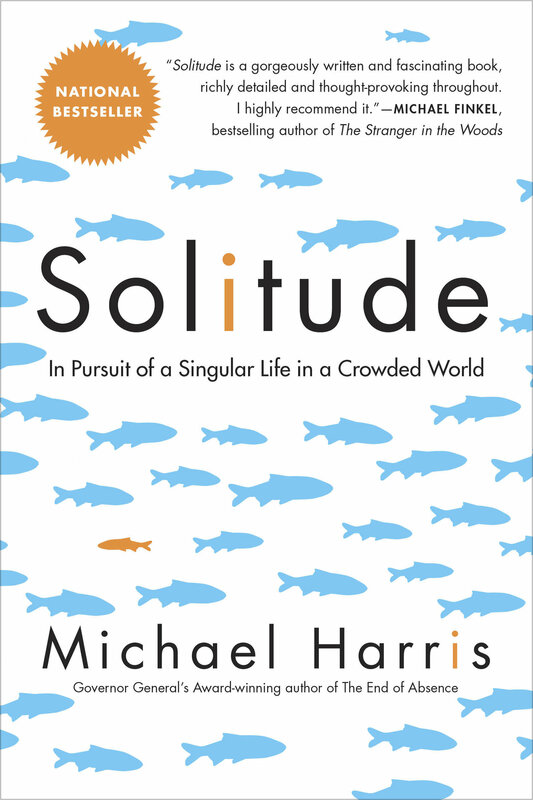 I just finished reading Solitude by Michael Harris. I’ve been telling anyone who’ll listen–including a stranger sitting beside me in a coffee shop!–that they should read this book. I think it’s that significant. Michael Harris is a skillful writer. In 2014 he won the Governor General’s Literary Award for Nonfiction for his book, The End of Absence. He has written for many publications, notably The Globe and Mail, Washington Post, Wired and Salon. The book is well researched, but easily read and understood. There are many important ideas in this book, based on the thesis and subtitle A Singular Life in a Crowded World. Michael Harris is an original thinker, synthesizing data, expert opinion and history with his own experience and observations as a journalist and human living in the 21st century. Harris’ work reflects the complexity of modern life. In the Introduction to Solitude, Nicolas Carr (a Pulitzer Prize winning author) expertly summarizes some of the ideas Harris presents: Contemporary forces of technology, society, and commerce, beneficial forces in so many ways, conspire not only to diminish our opportunities for solitude but to seduce us into believing that solitude is at best inessential and at worst a waste of time. It’s seems a bit contradictory to be writing a public post about Solitude: A Singular Life in a Crowded World. Sigh. Harris makes valid, and original observations about the dangers of social media. But what better way to spread the news that this is a “must read” book? It may be more socially acceptable than talking to strangers in cafés. This entry was posted in Michael Harris, Nicolas Carr, Solitude and tagged Michael Harris, Nicolas Carr, Solitude on March 11, 2018 by terryvatrt.